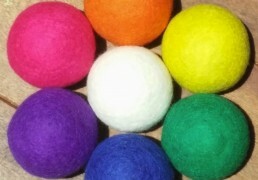 7 of our Finest Cheerful wool dryer balls, one of each color (Hot Pink, Marigold, Eco Green, Sky Blue, Regal Purple, Cotton Candy Pink and White) These are sure to bring a smile on your face, or a friend's because these make super unique gifts to give! 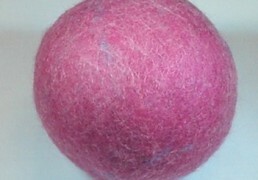 Extend the life of the most sizzling pieces in your wardrobe when you use our Hot Pink wool dryer balls. 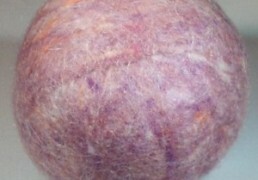 The more wool dryer balls you add to your laundry, the quicker they’ll dry – and the less heat they’ll be exposed to. 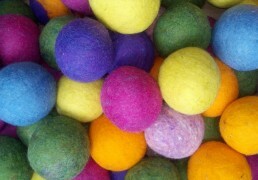 When you toss our pretty multicolored Cotton Candy wool dryer balls in with your laundry, your favorite pieces will come floating out in a cloud of dreamy softness. 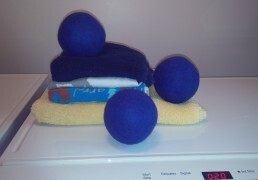 Plus, like all of our natural laundry softeners, they’ll help prevent wrinkles and static. 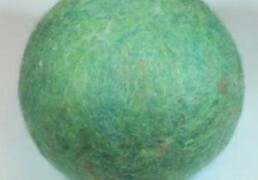 It really is easy to be green when you use our Eco Green wool dryer balls. 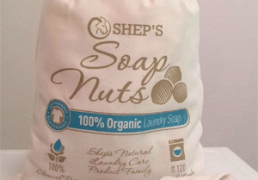 Our natural laundry softener cuts down on energy use and reduces the amount of chemicals produced and released through conventional fabric softeners. You want extra snuggly clothing. 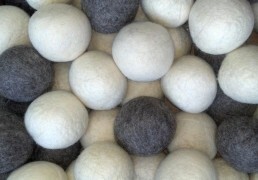 Our undyed Kitten Gray wool dryer balls will soften your favorite pieces while nixing wrinkles and static for a purrrfect, ultra-soft feeling. Enjoy a chemical free lifestyle! 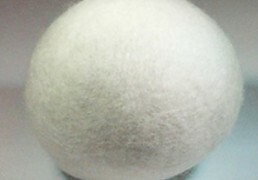 Cuddly and soft clothing is just one step away when you throw our undyed Lamb White wool dryer balls into the dryer. It’s as simple as that! 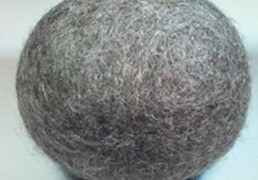 Plus, our wool dryer balls last for hundreds of loads and won’t unravel or shed.